Riggs Rental, a division of Riggs CAT, has also agreed to become the Gorman-Rupp construction and agricultural equipment distributor for the US state of Arkansas. 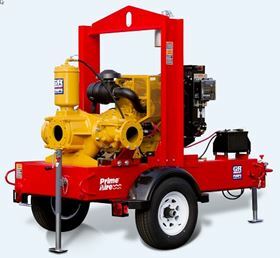 Each of Riggs Rental’s eight locations across Arkansas carries a complete line-up of rental equipment including excavators, air compressors, aerial lifts, generators, light towers, skid steer loaders and now the Gorman-Rupp pump line, powered by Caterpillar diesel engines. The Gorman-Rupp Co subsidiary Patterson Pump Co has completed a letter of intent to acquire Morrison Pump Co.